No matter the age or gender, anyone can benefit from this extra ordinary spice! It has an active component called piperine that gives black pepper its characteristic taste. It contains iron, potassium, calcium, magnesium, manganese, zinc, chromium, vitamins A and C, and other nutrients. The nutrients in black pepper are what have given it a powerful culinary status which is why it is important that we know about them. Increases the nutrient absorption — The piperine in black pepper enhances the bioavailability of various nutrients such as vitamins A and C, selenium, beta-carotene, and others, thereby improving your overall health. Improves Digestion — Black pepper stimulates the taste buds and increases the secretion of hydrochloric acid in the stomach, which in turn aids proper digestion. Interestingly, most digestive problems are caused by a lack of hydrochloric acid rather than excess amounts of it. By improving digestion, black pepper relieves issues like colic, bloating, indigestion, flatulence, and constipation. It also has antibacterial qualities that help treat intestinal diseases caused by bacteria. Stimulates appetite — Research has shown that black pepper helps improve the appetite through olfactory stimulation. This makes it an excellent, simple remedy for those with a poor appetite. Facilitates weight loss — Although it stimulates the appetite, black pepper also can help you lose weight. The outer layer of peppercorns contains phytonutrients that encourage the breakdown of fat cells. Relieves Gas — Being a carminative, black pepper relieves stomach gas and also helps prevent gas formation. To cure indigestion and heaviness in your stomach, you can have a glass of buttermilk mixed with one-quarter teaspoon each of black pepper and cumin powder. Helps clear congestion — Black pepper can be used to clear up a stuffy nose and congestion as it helps loosen phlegm. It also has antimicrobial properties, which is why black pepper is included in various cough and cold remedies. Simply drink a glass of lukewarm water mixed with one-half tablespoon of black pepper powder, two or three times a day to clear the respiratory system. Combats arthritis — The piperine present in black pepper is highly beneficial for treating arthritis due to its anti-inflammatory and anti-arthritic properties. In addition, this wonderful spice improves circulation, thereby preventing or reducing joint pain caused by poor circulation. Researchers have also found that black pepper helps reduce the perception of pain and arthritic symptoms. Works as a natural anti depressant — The piperine in black pepper acts as an antidepressant by increasing serotonin production. Serotonin is a neurotransmitter important for mood regulation. Low levels of serotonin are associated with depression. Treats teeth and gum problems — As it reduces pain and inflammation, you can use black pepper with its partner salt to reduce gum inflammation along with problems like bad breath and bleeding gums. Just mix equal amounts of both salt and pepper in a few drops of water, and massage your gums with the mixture. Fights Wrinkles — The antioxidants in black pepper fight free radicals that cause signs of aging and harm your skin in more than one way. 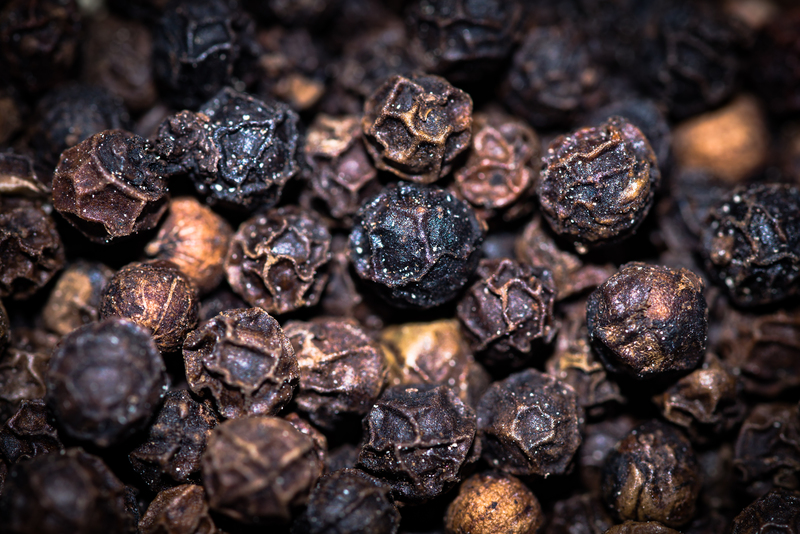 Black pepper fights the signs of premature aging – including wrinkles, fine lines, and even dark spots. Exfoliates skin — Black pepper can be used as a scrub to exfoliate the skin and remove dead skin cells. This makes your skin smoother. For wet cough — Grind 3 g of black pepper with the juice of basil (tulsi) leaves. Take it a few times a day to relieve excess sputum. For chronic cough — Mix black pepper, honey, and butter to form a paste. Take this a few times a day to stop chronic cough. For dry cough — Mix a ripe banana, 1 tsp honey, and 2 pinches of powdered black pepper. Eat this 2–3 times a day. Fights Wrinkles — You can simply add black pepper to your daily diet to see its skin-enhancing effects. Or just combine a teaspoon of black pepper with equal amounts of honey or turmeric. Add water for a smoother consistency. Apply the mask to your face twice a day. Exfoliates skin — Crush some black pepper and make a scrub to remove dead skin cells and exfoliate your skin. Just take 1/2 teaspoon of powdered black pepper and 1 teaspoon of yogurt. Apply to your face and wash after 20 minutes. For Dandruff — Add a teaspoon of crushed pepper to a bowl of curd and apply it to your scalp, leaving it on for about 30 minutes. Wash off with water. Do not use shampoo. If you want, you can shampoo the next day as this will give the mixture ample time to work on dandruff. Loss of appetite — Grind 5 to 6 black pepper and make a paste by mixing with natural honey. This formulation is useful as appetite stimulant. For clear skin — Add coarsely ground pepper powder to your face pack and apply it over the face and keep it for 15 minutes. Now, wash your face with warm water. Do this regularly to get desired results. Acidity — To relieve indigestion with burping and high acidity, Take a combination of black pepper, garlic cloves, clove and a pinch of rock salt with the main meal for 3-4 days regularly.